The painting industry, including the Master Painters Association of NSW, Aussie Painters Network and the National Institute of Painting and Decorating, are opposing proposed changes to the NSW Home Building Regulations, which would scrap licensing for several trades, including painting and decorating. The changes would mean that unlicensed and therefore untrained persons would be able to prepare surfaces containing asbestos and lead paint. This decision has grave consequences for the painting industry, and risks the health of the NSW public. "The removal of licensing will cost the NSW economy millions of dollars in defect rectifications, pre-mature paint failure, and health costs associated with lead paint exposure, un-safe work practices, and exposure to asbestos", according to Daniel Wurm, Managing Director of the National Institute of Painting and Decorating. "We receive over 100 complaints per year from home owners who have had defective work performed by an unlicensed contractor. The complaints from Victoria, [where there is no licensing], out-number complaints from NSW by a factor of four. The majority of these complaints are due to inadequate training and regulation of the industry. Many of these cases end up going to court, costing thousands in court costs, and millions of dollars in rectifications of paint defects. Why would the New South Wales government consider deregulation, when the Victorian government is currently considering legislation to introduce new regulation to the building industry?" 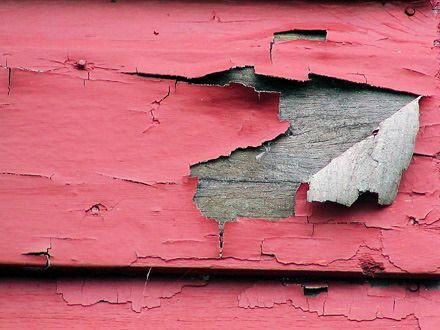 According to the NSW Department of Environment, there are approximately 3.7 million homes in Australia that contain lead paint with concentrations of lead that exceed 1%. It is currently a requirement in NSW that painters who become licensed receive training in safe lead paint management. Studies conducted on the cost-benefits of correct lead abatement procedures show that the costs to the economy of enforcing lead abatement are far less than the combined costs of lead poisoning on the community. "According to the World Health Organisation the economic costs associated with childhood exposure to lead are substantial. The economic benefits of successful interventions against lead poisoning have also been shown to be enormous. These benefits far outweigh the costs of creating a national programme for screening, surveillance and prevention of lead poisoning." says Daniel Wurm. "A recent cost–benefit analysis suggests that for every US$1 spent to reduce lead hazards, there would be a benefit of US$17–220." The changes are also predicted to severely impact the thousands of existing painting businesses in NSW and result in a drop in the number of apprentices. "What incentive is there to a young person to spend 4 years studying the trade, when they will end up competing against unqualified cowboys? It goes against everything the community wants for our school-leavers." Over 1000 painting businesses have signed a petition opposing the changes to regulations.